All proceeds from room rentals go towards helping out shelter animals. Once you’ve selected a room rental type and additional equipment required, please complete the online form to submit a room rental request. For more information about our room rentals, please contact our attendant: administration reception by email at reception@ottawahumane.ca or by phone at (613) 725-3166 ext. 297. This space is adjacent to the Adoption Centre. With over 500 square feet of space, our Education Centre be rented in full or can be divided into two separate rooms with a moveable wall. Each side of the room can comfortably accommodate up to a maximum of 50 guests (100 in the full room). Room set-up is easily customizable with moveable furniture (tables, chairs, and podium). This space is attached to a catering kitchen and connecting outdoor yard with a picnic table (optional). 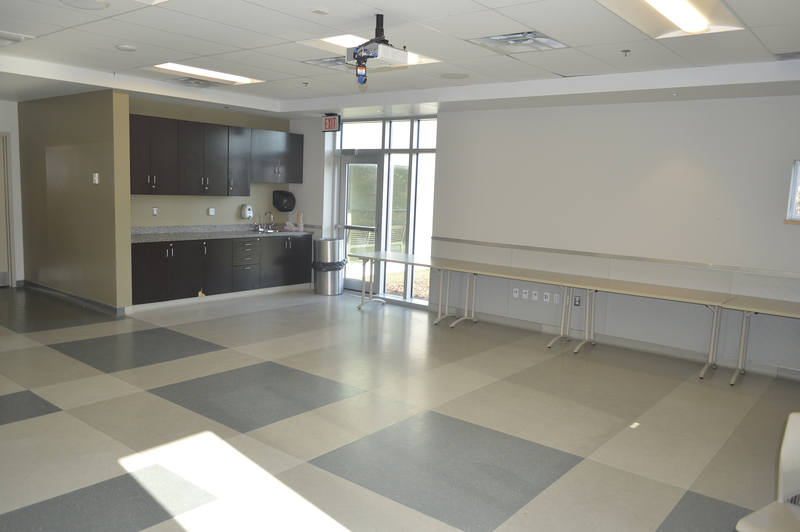 Room features include two countertops with sinks, a coat rack, projectors and AV equipment. 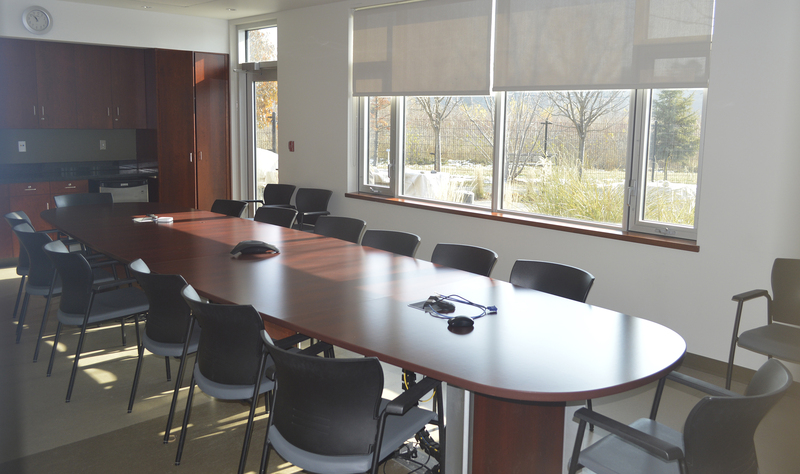 This space is located within the Administrative area of the building and is the perfect place for meetings and seminars. The Boardroom can comfortably accommodate 20 seated guests around a large table. This space is attached to a large outdoor courtyard with a barbeque and outdoor seating (optional). Room features include a countertop, coat closet, sink and TV with AV equipment. NOTE: Rates featured on the website apply to events taking place during our operating hours. For events outside of these hours, additional staffing fees may apply.